©How do you test your soil health? The importance of soil health is now well recognised. With warnings that the UK’s soils have only 100 harvests left, and with flooding a growing problem, farmers are increasingly aware of the need to improve the physical, chemical, and biological health of their soils. However, there remains widespread uncertainty across the farming community as to how to measure soil health. In fact, the results of a limited survey of 64 farmers carried out by Reading University last year suggest that many farmers are currently using the wrong tests to assess the health of their soils. 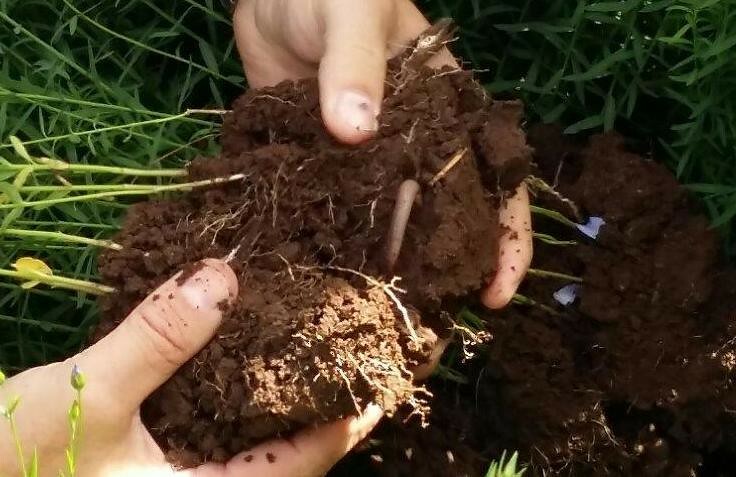 When asked to rank indicators of soil health, farmers rated earthworm populations, soil organic matter quality, infiltration rates, and soil food web activity as the most useful measures. And yet, when asked how they tested the health of their soils, the majority of the group reported testing only soil chemistry and soil organic matter. There are perhaps several reasons for this disconnect. First, there is limited understanding of the tests available and what they tell us. We are all very familiar with standard chemical analyses of macro and micronutrients. These have been widely used for many years to inform fertiliser programmes. However, a number of soil testing services are now also offering more detailed analyses - including Albrecht ratios/base saturation - that are less widely understood. Moreover, while the link between nutrient levels and fertiliser applications is clear, it is perhaps less obvious to many farmers how an understanding of e.g. bacteria or fungal populations can be used to inform management decisions. There is often also confusion about which test methodologies should be used. Take soil carbon, for example. This can be measured using the Loss on Ignition, Walkley-Black, or DUMAS methods. Each is based on its own assumptions and the results obtained vary accordingly. This is not only baffling, but also throws some doubt on the reliability of the results. Cost is another concern, with more comprehensive soil testing assumed to be prohibitively expensive. This may be true in some cases for lab-based biological testing, since each sample must be examined manually under a microscope. However, there are many simple but informative tests that that farmers can carry out on farm for free. For example, earthworm numbers can easily be surveyed by sorting through a 20 × 20 × 20 cm cube of soil, with deep-burrowing earthworms extracted by pouring a mustard solution into the hole. A review of existing decision support tools reveals that there is currently little - if any - meaningful guidance to help farmers navigate these issues. With this in mind, Innovation for Agriculture is currently surveying a large cross-section of English farmers and agronomists on how they measure the health of their soils. The aim is to get a better understanding of what farmers want to get from soil testing, what tests are used and when, how testing services are selected, and how the results are interpreted and used to inform farm management decisions. Using the survey information, the goal is to develop better guidance and/or decision support tools to help farmers define soil testing objectives and select the appropriate laboratory or in-field tests to meet those goals. Ultimately, our aim is to help UK farmers to adopt a more holistic approach to measuring soil health that can provide a sound evidence-base for more restorative soil management practices. Georgia Eclair-Heath is the Soil & Water Research Assistant for Innovation for Agriculture. A qualified solicitor, Georgia joined Innovation for Agriculture in June 2016 having completed the Graduate Diploma in Agriculture at the Royal Agricultural University. She is passionate about farming and its impact on the wider environment. ‘Soil assessment methods’ - Tips to help you choose the most appropriate methods to assess and manage your soil health - provided by the GREATSoils project team. ‘Visual Evaluation of Soil Structure’ - Assess soil structure out in the field and identify where changes in management may be required with the help of SRUC’s visual reference tool. ‘Soil Analysis and Management’ - An IOTA technical leaflet highlighting how you can use and apply soil analysis to improve and manage soil fertility. ‘Healthy Grassland Soils pocketbook’- A practical guide giving pictorial advice on assessing, maintaining and improving grassland soil structure and soil biology levels. ‘Simply Sustainable Soils’ - LEAF’s soil assessment tool to help you improve the soil on your farm and long-term sustainability of your land.